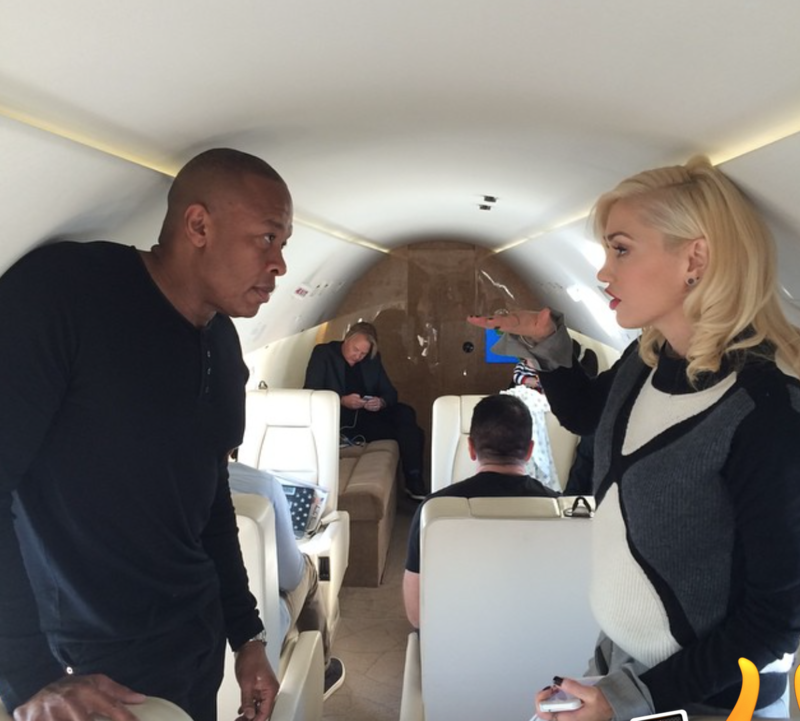 Singer and songwriter Gwen Stefani is on her way to the Apple event. On Instagram (and Twitter) she just posted the attached photo. 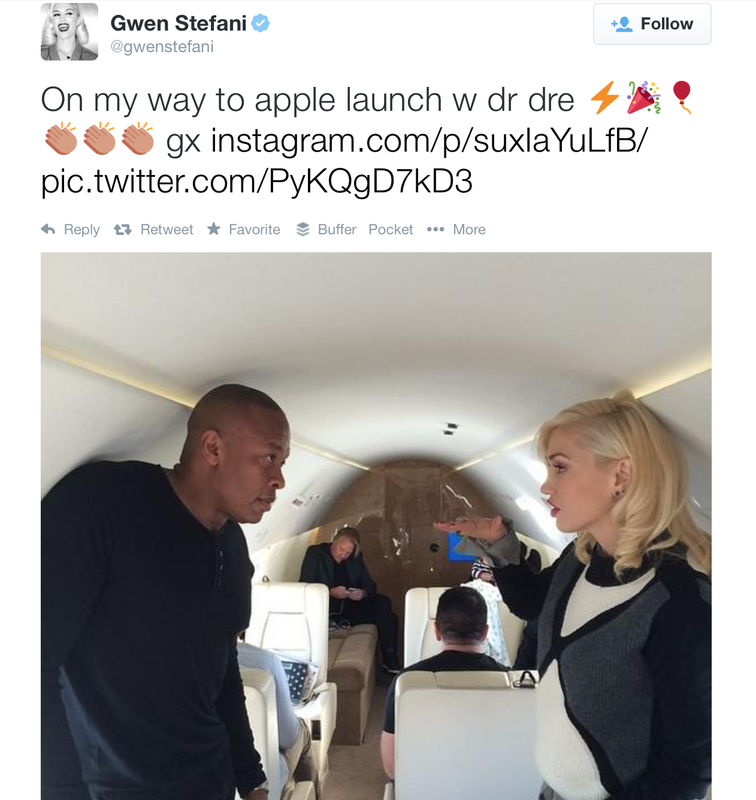 As you can see, Stefani is with Apple’s Dr. Dre. 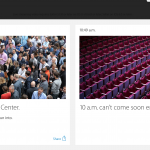 Is she there is perform, or see the “iWatch” since she’s also involved in the fashion industry? We’ll know soon enough. 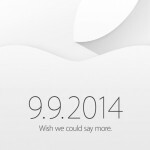 Apple’s “iPhone 6″ event begins at 10 a.m. PDT.